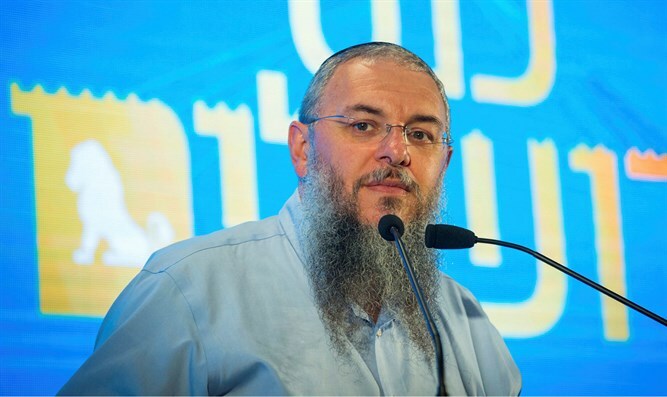 Shlomo Ne'eman, head of the Gush Etzion Regional Council, is furious at the decision of Prime Minister Netanyahu not to approve the construction of 100 housing units in the community of Ibei Hanachal in Gush Etzion, which would have enabled the authorization of the outpost. "We received with astonishment the decision to remove in the middle of the night the plan for the community of Ibei Hanachal from the agenda of the Supreme Planning Council meeting that took place this morning," said Ne’eman. "For us, this is a very serious signal. It is inconceivable that the Israeli government makes a decision many months ago to authorize a young community when in fact, not only does nothing happen - even worse - the Gush Etzion Council has been actively working under my leadership for a whole year to meet all the professional and legal requirements of the plan." "Now that everything is ready and there are no practical obstacles and we got to the agenda and reached the trough - we found a broken trough. We are disappointed every time anew, both by the quantity and pace of construction in Judea and Samaria, and this morning things have fallen in Israel - the government removes a plan from a discussion of a planning council that is a professional body, following an order from overseas." Earlier today, the Supreme Planning Council of the Civil Administration approved construction of more than 1,000 housing units throughout Judea and Samaria. "Half-a-million people in Judea and Samaria can't be satisfied with approval of a thousand housing units, which is clear to every reasonable person. We expect the government to shift into high gear, stop worrying about what they'll say overseas, and promote this beautiful region that's located in the heart of the country and has strategic and historical significance that's clear to everyone," added Dagan. Among the construction approved by the Supreme Planning Council were 400 new housing units in the village of Adam in Binyamin, where Yotam Ovadia was murdered in a stabbing attack one month ago. "It is precisely a national government that shouldn't reduce construction, but expand. We call upon the Prime Minister to remove restrictions and barriers and order broad construction throughout Judea and Samaria, as in the rest of the country. This can and should be done today."